This entry was posted on August 29, 2015 by Lightning Labels. Although many of the recent national headlines regarding labels have been reserved for the food and agriculture industries, other sectors are beginning to take different approaches to these types of matters. No matter which industry one might be investigating, the demands, expectations and preferences of clientele are shifting rapidly, and businesses that do not transform alongside their customers will likely fail to remain relevant over time. From a younger generation stepping up as the biggest piece of the puzzle in terms of workforce and consumer landscapes to the much broader line of communication channels that have connected so many individuals, the times are changing. One of the bigger news stories in the retail sector over the past few weeks involved the decision by one of the largest companies in the business to take a different approach to its toy labeling strategy, which might reverberate elsewhere ahead of the holidays. The Washington Post recently reported that Target has decided to cease its gender-specific toy labeling practices, instead making each item clearly available for boys and girls. The news provider argued that this is considered to be a good move for the retailer in some circles, but others believe that it is worthy of more debate, calling the action ridiculous or outrageous. Now, retailers do always need to walk a fine line, especially one as big as Target, as it is nearly impossible to make everyone happy all the time. However, this particular move appeared to only create anger and lament among some of the more extreme individuals out there. The source pointed out that one leader of a religious association argued that gender-neutrality is against the Bible. Still, The Washington Post stated that Target's actual strategy does not leave much room for uproar, as it is only ending the segregation of toys in accordance to gender and instead organizing its inventory by category, such as themes. 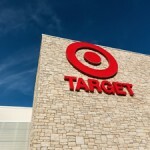 At the end of the day, Target appeared to get more praise than backlash for this decision, meaning it effectively understood its customer base and acted in such a way to make as many clients happy as possible. Labeling will often be more important to a brand's image and performance than leaders might think at first, even when a business is operating outside of the food and beverage industry. Custom label systems and efforts such as Target's to create new trends in the retail sector can be a highly advantageous endeavor as long as the company does its homework and creates the stickers in an informed and intelligent fashion. Competition continues to heat up in retail and elsewhere, which makes thinking outside the box with respect to marketing, product placement and other sales-related matters vitally important.